Last night, 21st April 2018, Blackpink attended Sukkiri Super Live at Nippon Budokan. Blackpink was really energetic as used to. 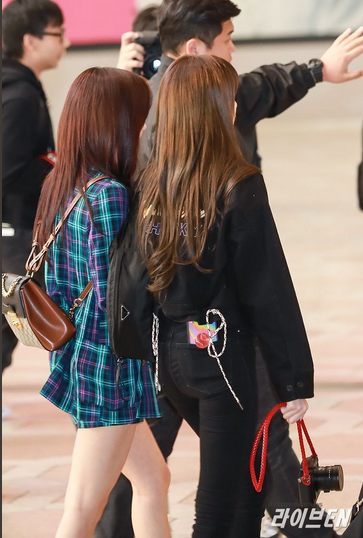 The interesting one of Blackpink is their airport fashion which always making everybody can`t take off of their great fashion taste. On the way from Gimpo to attend Sukkiri super Live at Nippon, Blackpink never fail to impress us with their airport fashion. Here are some of their photos of Blackpink airport fashion from some media. Check it out! 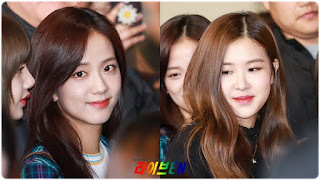 Blackpink Jisoo has natural beauty, her face is very pure and look so stunning in her aiport fashion. She wear plaid blazer and skirt set with white t-shirt. Jisoo also put simple necklace to complete her simple looks. For bag, Jisoo using brown saddlebag makes her very simple and get all dolled up. Let`s say together `Oh My God`. Blackpink Jennie so fashionable with her cream blazer. 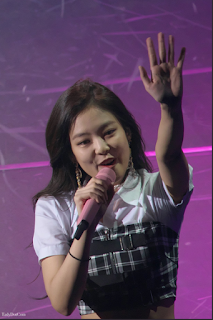 Jennie makes her body perfect by put black singlet with black pants. Jennie uses two color of her fashion airport, makes her looks so dolled up. She makes her appearance more and more gorgeous with black eyeglass on her. Do you thing the same with me guys? Here is the queen of swag from Philiphine. Lisa wear monochrome clotes, with black cloth, black jeans and black saddlebag. Her looks makes her face looks so bright and pure. Lisa also bring her precious camera. Her black wears makes her bright iPhone cassing looks like another accecories which makes her style more swag. 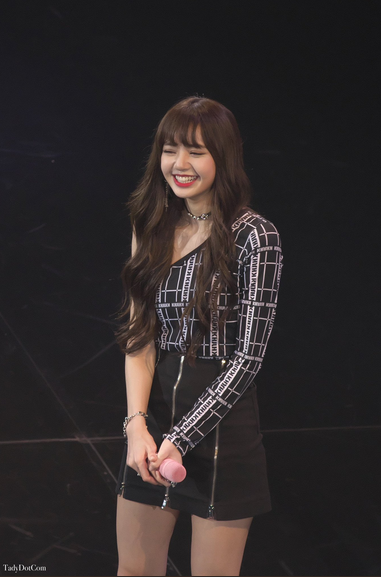 If lisa wore monochrome with black jeans, Blackpink rose looks so comfortable with black mini skirt. She shows her beautiful legs with white shoes on. Rose also put simple necklace on, makes her appearance looks so feminime. Her strigh hair makes her feminime style perfect. What do you think about BLACKPINK airport fashion at Gimpo guys? Write comment down bellow.